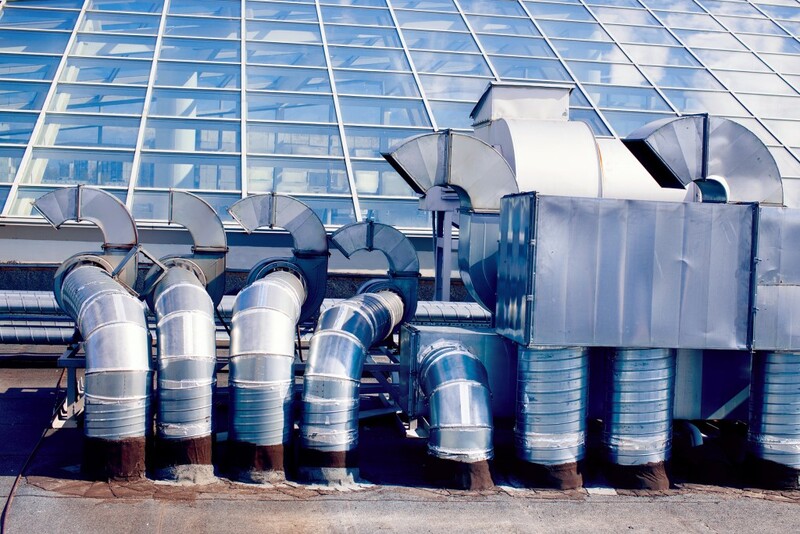 Natural ventilation is the most basic form of ventilation. It is reliant upon the free movement of air through the building, from inflow to exhaust. Natural movement of the air is dependent upon winds and temperature differences. Heated air rises, setting up convection currents and drawing in cooler external air into the lower portion of the room. This type of ventilation requires the opening of windows and / or doors to allow a sufficient quantity of air to flow into the building. Restrictions to opening windows in many modern offices, or a reluctance to open windows and doors because of the resultant draughts, significantly impacts the efficacy of natural ventilation. In such cases, mechanical ventilation is often installed, to force air into and through the building. This allows a controlled volume flow rate of air to be introduced into the space and, to a certain extent, dictates the path is takes through the building. Fans, ducts and vents are selected, designed and installed to achieve the required volume flow rate and flow path. The evident drawback of mechanical ventilation is the capital and operational expenditure of the fans. An additional negative is the inherent noise that some fans and duct systems can impose in the space. Personalised ventilation is mostly used in office and industrial units. It allows calculated volume flow rates of air to be delivered to specific work stations. Some stations may require more supply air than others due to the heat load of the installed equipment or the activity being undertaken. Other stations may need increased exhaust flow due to the production of fumes, such as welding bays or chemical engineering activities. 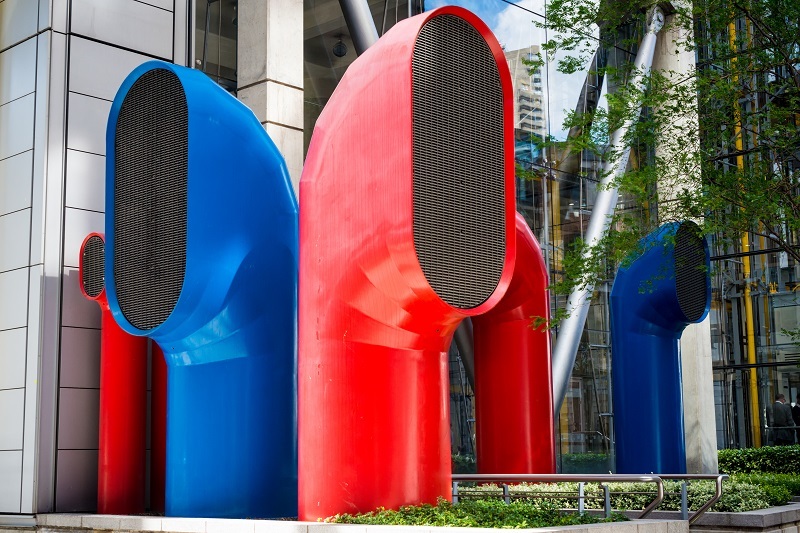 The down side of personalised ventilation systems is the cost of additional ductwork and potentially larger fans. For this reason, it is generally only used in commercial and industrial outfits. In many cases, any one of the ventilation systems mentioned will not be sufficient to provide air flow for a space. Therefore, hybrid ventilation systems are commonly found. 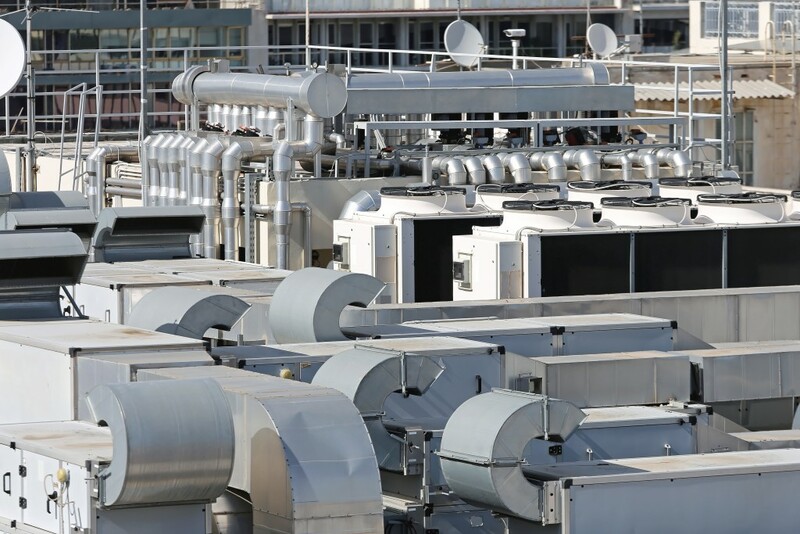 Smart systems can be installed, such that the mechanical ventilation system only operates when natural ventilation is not providing the desired conditions in the building. This presents a highly efficient way of ventilating a space. Other hybrid systems make use of heat pumps and air conditioning machinery to control the temperature and humidity of the air, whilst using the ventilation machinery to control the air flow around the space.